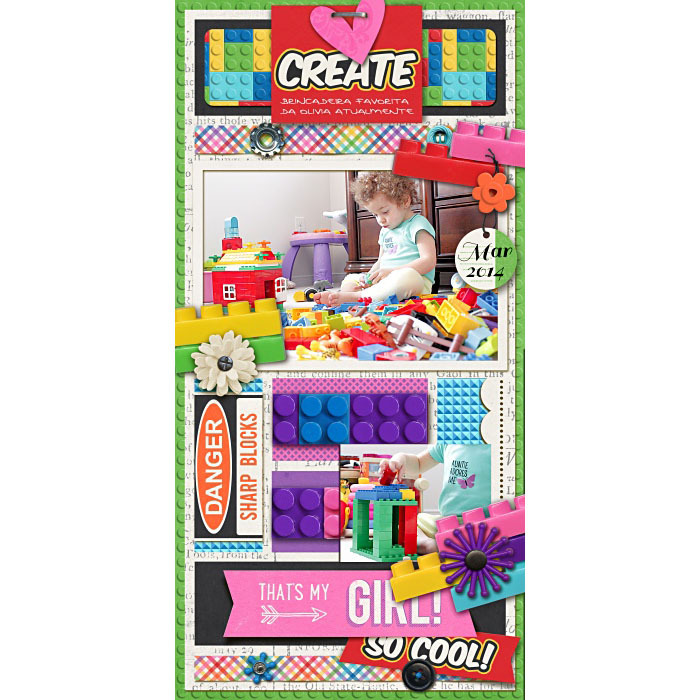 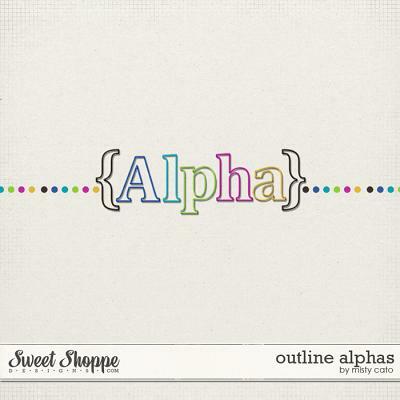 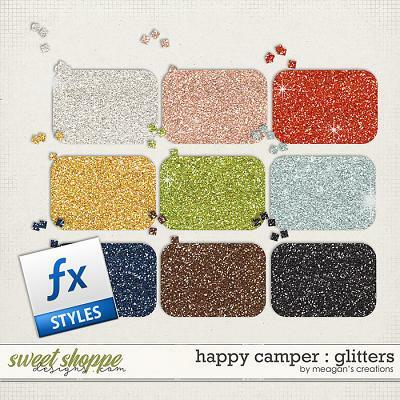 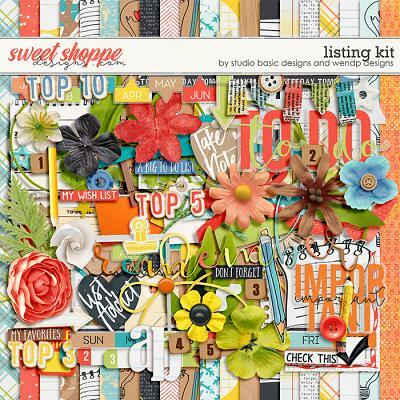 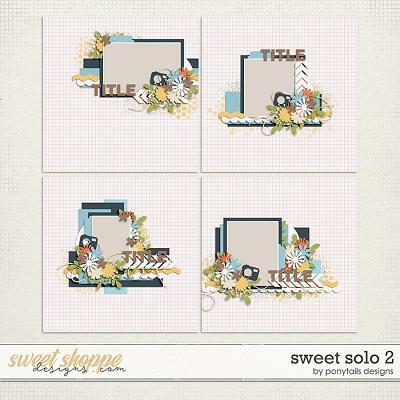 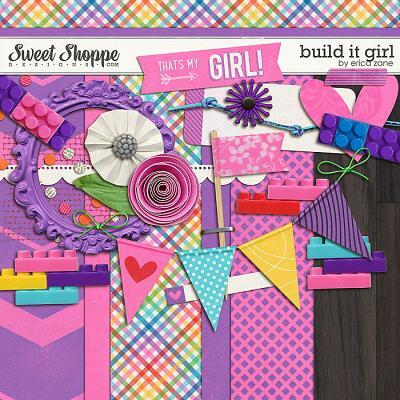 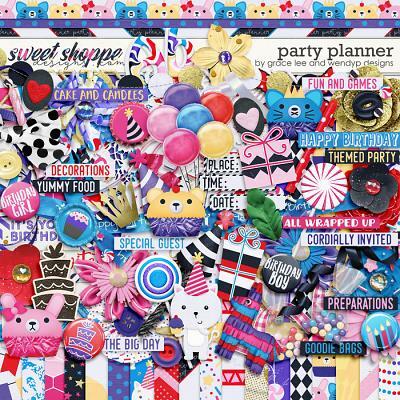 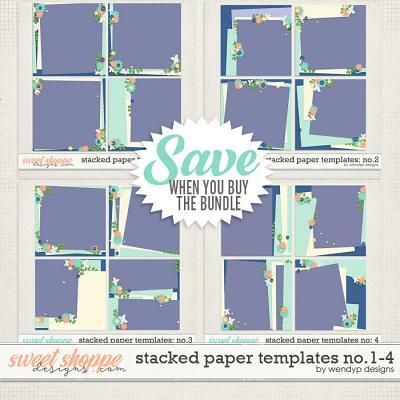 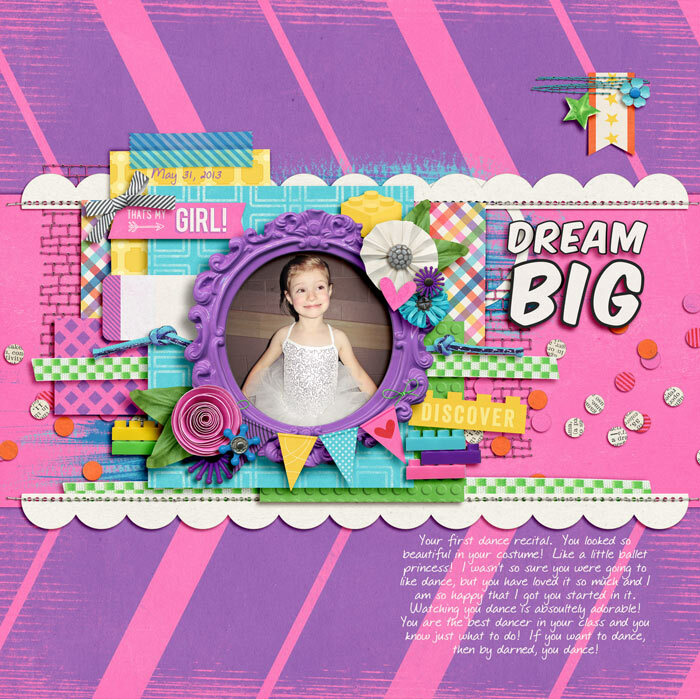 A digital scrapbooking add-on by Erica Zane, Build It Girl is a perfectly girly addition to my Build It scoop with Studio Flergs, making it even more versatile! 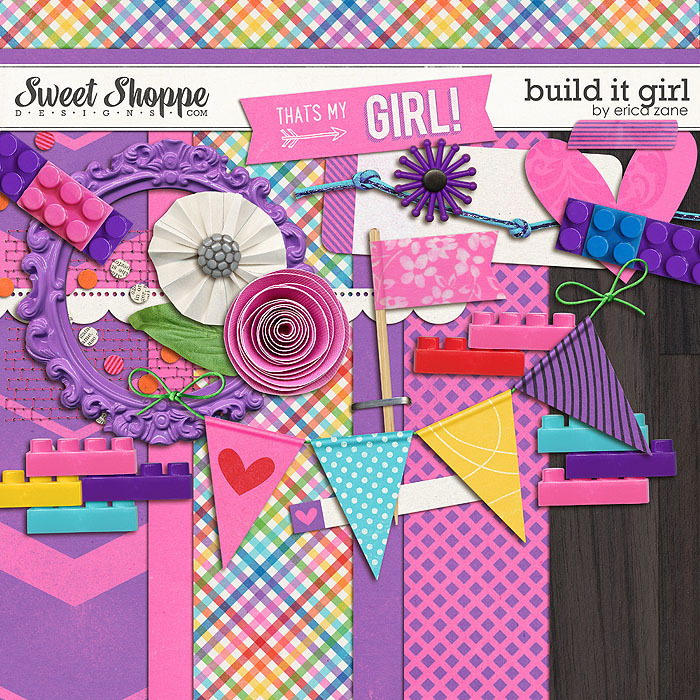 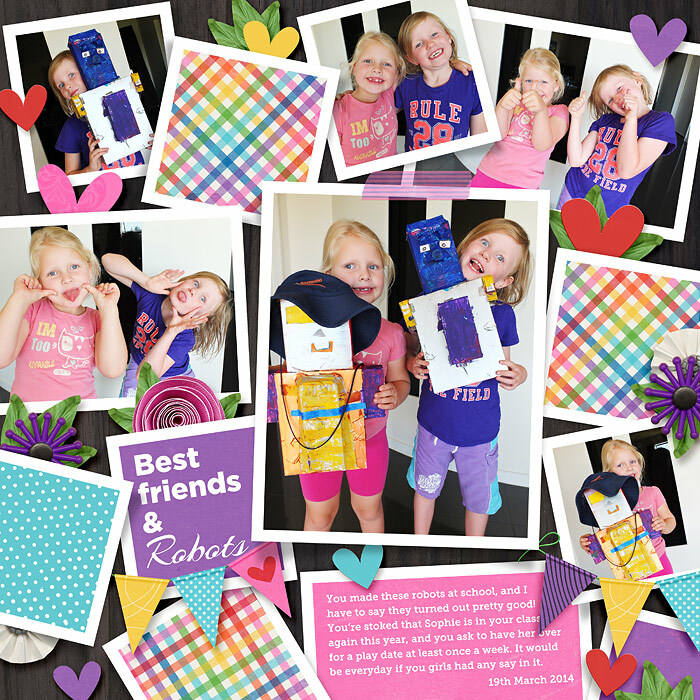 See the coordinating Build It Kit available here. 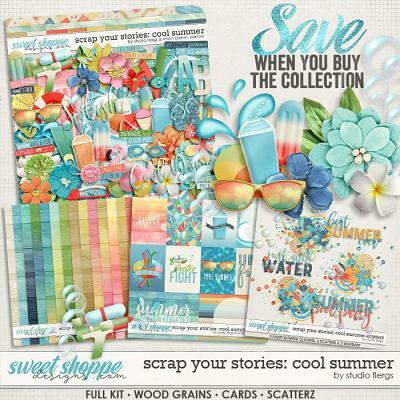 or SAVE with the Build It Collection available here. 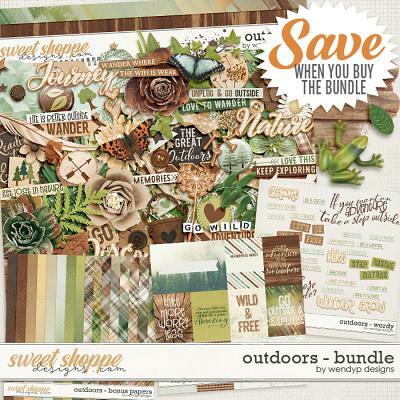 This digital scrapbook add-on includes 6 papers and 22 elements (5 block pieces, 2 flowers, frame, confetti, arrow tag, heart, stitches, tape, word art label, toothpick flag, banner, journal tag, leaf, string, rosette, scallop border and a staple).